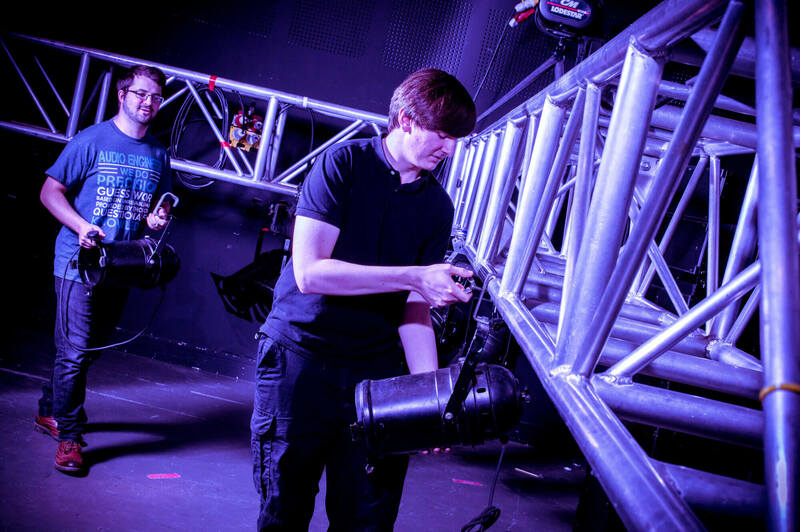 Students on our Entertainment Engineering courses get to practise their developing skills using industry-standard equipment. 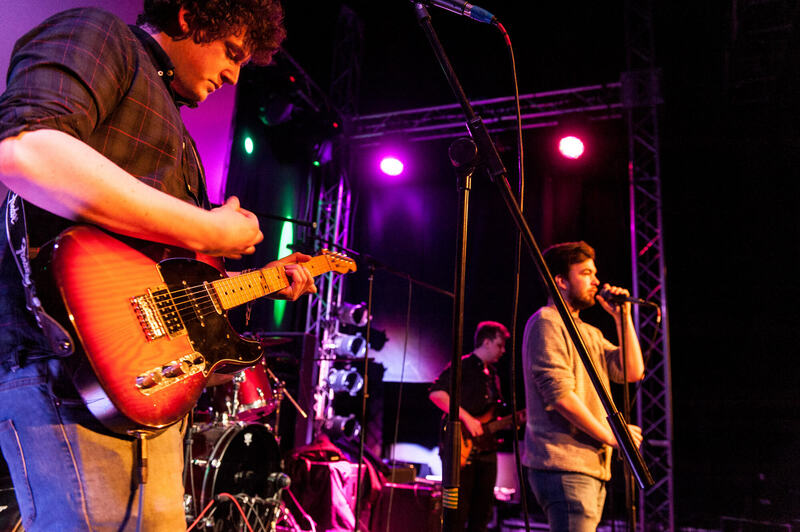 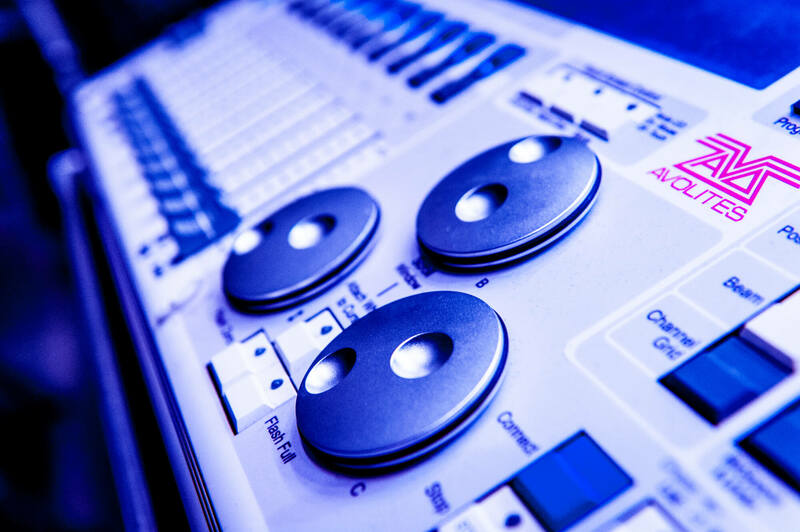 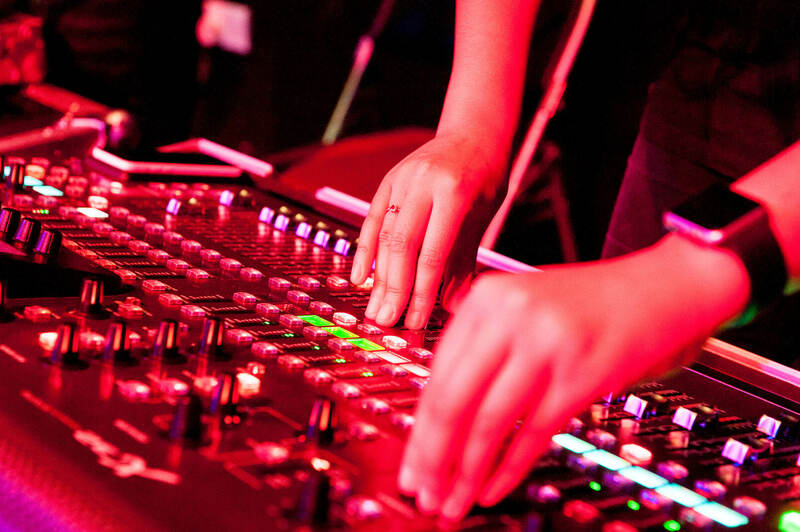 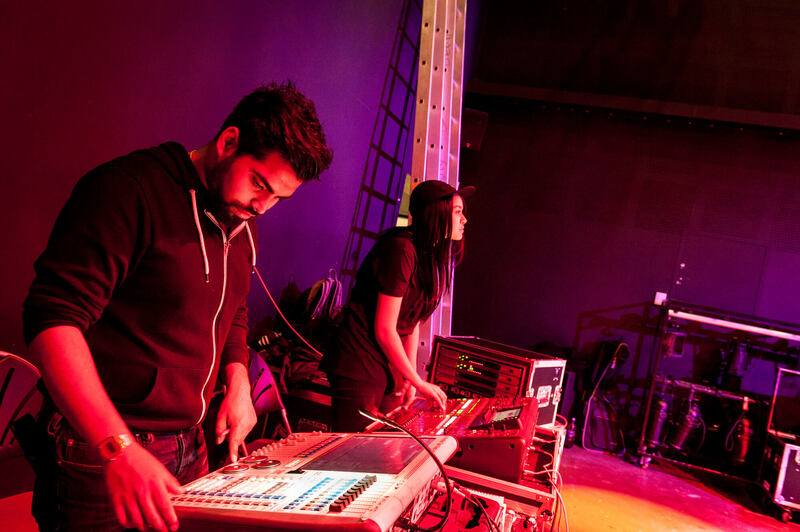 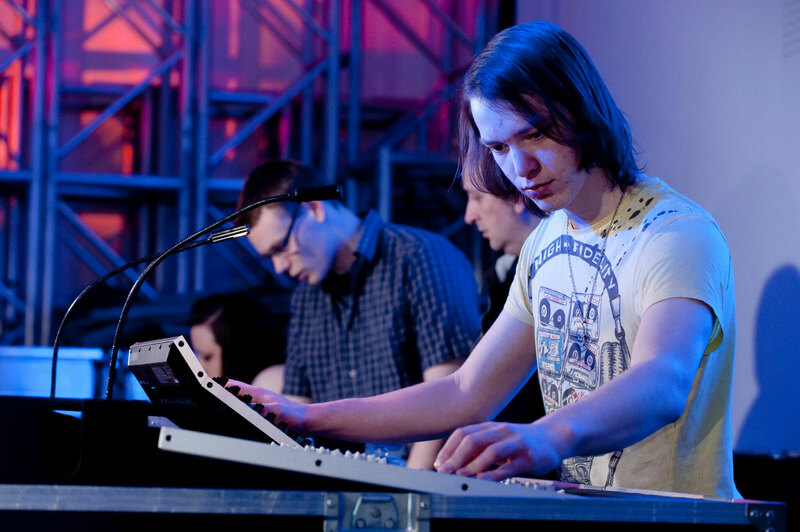 As a student on one of our Entertainment Engineering courses, you will study ‘how it works’ - exploring the underlying mathematics and electronics, together with sound, lighting and video technology, acoustics, Computer Aided Design (CAD), power distribution and communication technology. 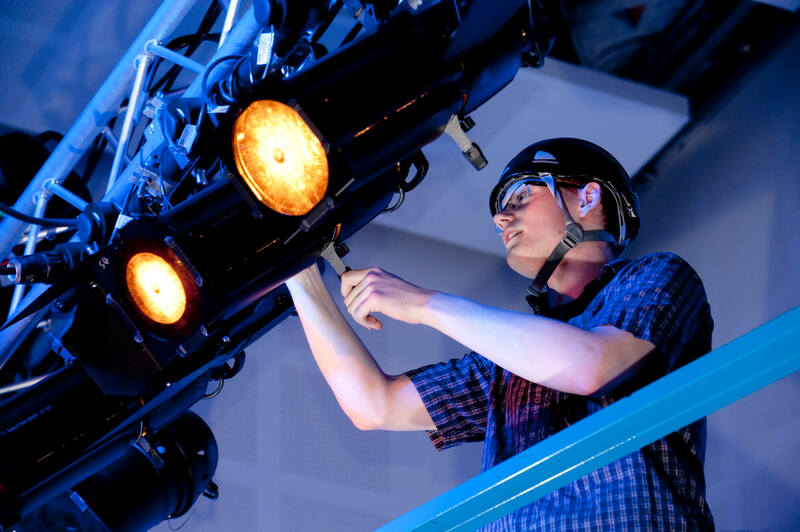 You will also practise ‘how to work it’ – developing professional skills in lighting design, sound engineering and event management. 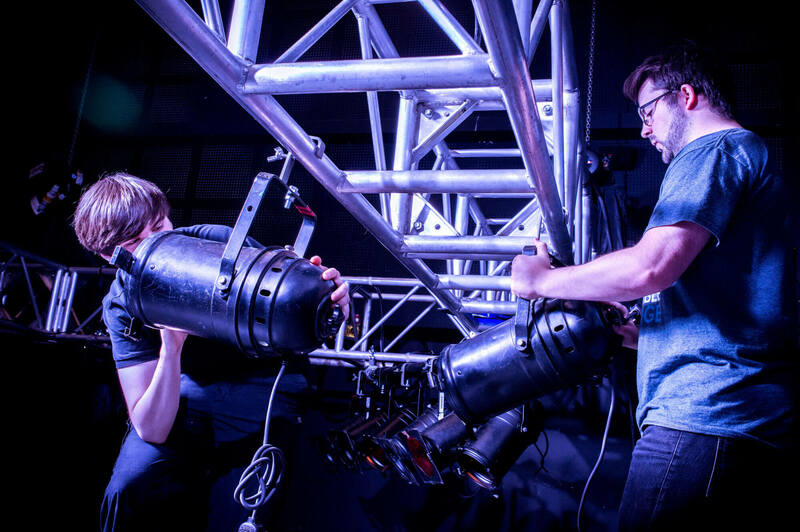 You’ll work with industry standard equipment thanks to the support of AC Entertainment Technology. 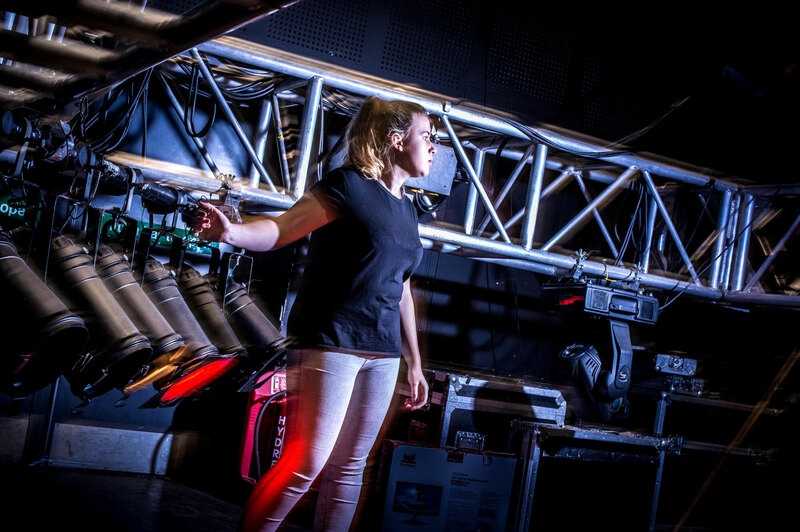 Students on the courses have had the opportunity to work on major University events, such as the Christmas Carol in the Atrium and Team Derby Badminton home games as part of the NBL League televised on Sky Sports.